and be positive always. However, here is the but; many people have this behavior, a pattern I should say or bad habit that doesn’t let us lose weight fast. We assume we know everything about how to lose weight. Moreover, that is wrong. Is okay if you decide to lose weight right now, this day. The problem is the lack of knowledge in that specific area. In life, we begin to do some things without getting information in the first place at least a little kind of information. You need motivation to be a better you. We are in a time where we must leave the laziness in the past. Decide, leave procrastination behind. Is your call, do it. You will lose weight, and you know you can do it. In fact, the reason you are reading this blog post is that you already decided to make it happen. Do your research on how to lose weight fast according to your body fat. Don’t try to rush thing. A few years ago I made some mistakes that almost cost my life; I was overweight, my weight was more than 300 pounds. I was overwhelmed and decide to lose weight quickly. I took the rush way, the no effort way. 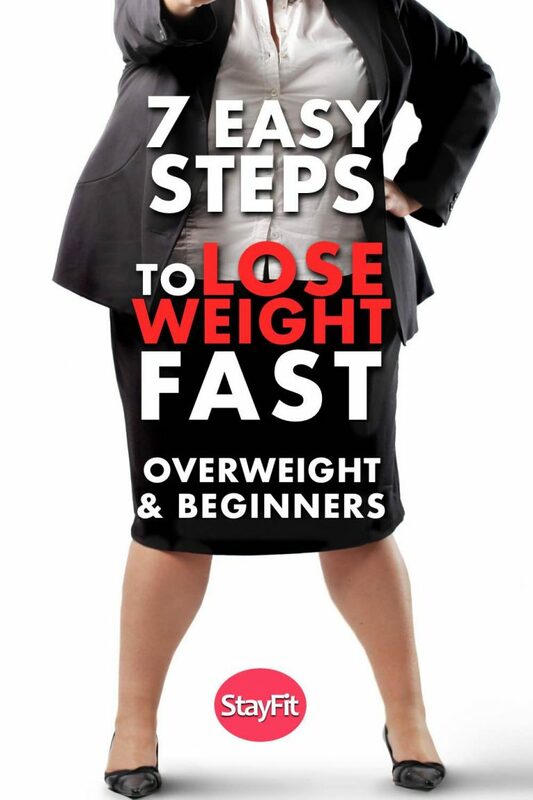 You know is right, it is overwhelming because you want it so much to lose weight quick. Do not stress yourself. Remember is a journey. Try with baby steps. Treat your self like a queen or king. There are many ways to reach your weight loss journey and stay fit forever. You know that little voice when you want to eat junk food, and you go and eat it. I refer to your little voice the one you manipulate to enjoy that junk food, unhealthy food that makes your body look bad. Is better to listen to the other little voice the one that doesn’t try to satisfy you. I prefer the one that will always be your best friend. This little voice deep inside will tell you to do the right thing. You know we all have this little friendly voice that will help us to do the things you will always dream. However, with all the distractions from life, we do not listen. You come home, and here we go again with the bad habit to open the refrigerator and open a soda bottle. You forgot about your diet; you satisfy yourself drinking an unhealthy beverage. Instead, remember the friendly little voice telling you do not open that bottle. If you do, you are taking a step back. So why don’t you drink water to lose weight? Drink water before you eat, water is an appetite suppressant, plus makes you feel full, the result, you eat the least amount of food. Not only water can help you to lose weight. We are water. Our body, brain, heart. The typical adult individual body is 60-70% water. So go for it drink water and lose weight quickly. Ok here is the trick or the “secret” to accomplish it. I keep telling you to drink water. Not to drink water while eating your favorite junk food. So kick the bad habit of eating junk food or drink soda, replace it with a healthy drink like water. Just water. However, if water is not enough because you think is boring, let me share with you this you can add the juice of one lemon, drinking it as soon as you wake up. Simple as that. Want to add a little taste to your water. Add some fruits. Detox Water. Here a few ones. This technique is not a tedious method like some people think, what happens is we have many preconceived ideas. We skip the right way choosing the no effort way. We skip the best method to do it choosing the wrong approach technique. Let me tell you this another way. You believe it, but it is not valid. It takes 66 days to create a new habit according to a study. More on the video below. After a few weeks, you are in big trouble, because you choose the no effort way. If you drink water, you will lose weight fast, right? However, please not with the soda, not with your favorite junk food. There are multiple benefits just for drinking water. You analyze, think carefully about it and start to implement it. Why will you lose weight when you drink water? The key is the benefits of taking water. 2. Focus on the quality of your meals. Quality food means consume the right food, but it means to eat this type of food at the right time. There are many myths, or a preconceived idea that if we skip one meal, let us say the breakfast it will help us to lose weight faster, the point here is to lose weight not to punish yourself, you want to lose weight quickly but with the right way. Is no the quantity of food or if we skip it or not. Is the quality of your food what makes you stay healthy. Simple math here, give your body junk food, you will have a weak system. Give your body quality food; your body will be strong and healthy. We always try to complicate think, just try to have an adequate meal plan with quality food. Choose an adequate meal plan, a super healthy meal plan to stay fit and be the best version of yourself. This one has to be your companion for your weight loss journey. Healthy Diet Program To Lose Weight And Get Fit. Who doesn’t like to sleep? Let’s say you are struggling with a project; you are close to your deadline. You decide to work during the night. You do not sleep enough at the right time. You interrupt the hormones in charge of regulating your appetite. In another word, your lack of discipline makes you fat. You have deadlines. However, you do not have to forget your health comes first. Not your job. Lack of sleep means a “lose-lose situation.” Your overall health deteriorates. Why? Sleep changes mood. After a restless night, you will short-tempered, and downright stressful. Once you sleep sufficiently, your attitude usually turns to normal. Sleep enough to remove all those harmful factors and will be easy for you to lose weight quickly, making better decisions during your weight loss journey. You will love detox teas, one of my favorites is ginger tea. Ginger (Zingiber officinale), a rhizome, which is an underground stem modification is an appetite suppressant; it supports our immune system, and it has many healing benefits, it heals digestive problems and has anti-inflammatory properties. Ginger cleanse your body, help you lose weight fast. At the beginning when you start drinking ginger tea, you will feel the taste a bit strong. The reality this type of tea is quite gentle on the body. Remember it takes 66 days to form a good habit. Try to drink this tea several times per day. I enjoy ginger tea always. I drink it every day. Add some honey plus lemon. WoW! is delicious. 10 Healing Powers of Ginger. This tea is one of best detox tea. It has many benefits to your health; it will help you reach your lose weight goal. We all need minerals in our system. This African red tea contains magnesium, potassium, copper, calcium, iron. It contains antioxidants that protect you from oxidative damage generated by free radicals. The red bush tea carries 50 percent more antioxidants than green tea. Add to it, two potent antioxidants Oxide Dismutase plus Aspalathin. Keep in mind your health comes first. Do not worry. Start small, remember baby steps. If you feel tired, just rest and continue. Try a low-impact cardio exercise to protect yourself from any injury a few ones are cycling, swimming, walking or water aerobics. It will help you to be ready to cut those calories and be able to keep that low-impact, so you do not put much stress on your joints. You can do 3-4 times a week in the beginning for 20 to 30 minutes a session. You will receive the same benefits if you split it into two ten-minute, so your body adjusted and used to those cardio exercises. Next, to build lean muscle and reach a stable body composition you can incorporate strength exercises, doing so you will increase your metabolism. Use resistance bands or light dumbbells (7-10bs). If you use light dumbbells, you will be ready to incorporate a full body workout. In that way, you will have a full body exercise program you can use into your strength training. Three sets and from 7 to ten repetition per set per exercise. You can do it two times a week; then you can increase it up to three times a week once your body begins adapted to the training. 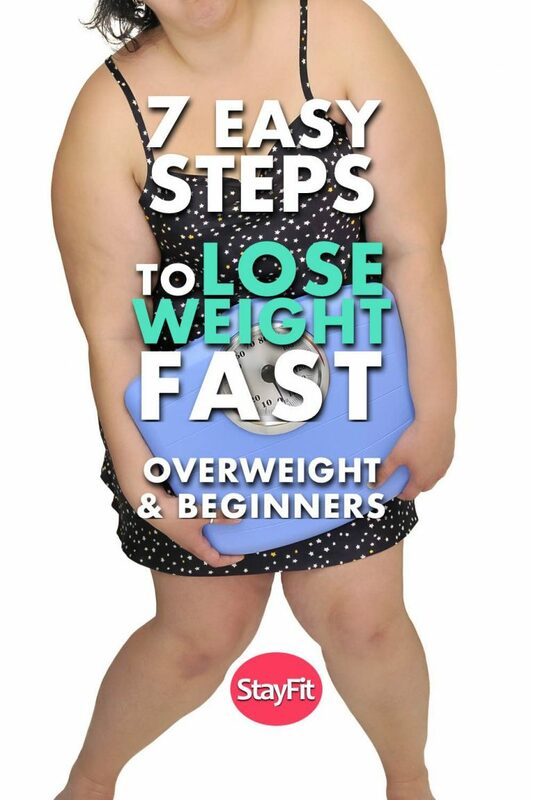 You will lose weight fast with this guide. You know all at once is too much but is a start. Add this other new habits for your weight loss journey. Now it is the time to be the person you want to be. Decide, plan your routines, start working out. Don’t ever allow any negativity enter your mind. Love Yourself, Stay Fit & Thrive.